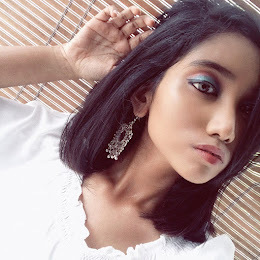 Generally I have sensitive skin issue, hence I don't really do foundation review on my blog compared to other bloggers out there because I don't really wear foundation that often. My first foundation purchase is on the MAC studio fix water weight foundation not long ago which is great but it doesn't really work for me. I broke out after I used it. This scenario got worst when I took Burn 60 pill from GNC to increase my metabolism because I started to go to the gym about 2 months ago. My face broken so bad that I had small annoying bumps all around my forehead and big bumps here and there. I started to feel insecure because I never really experience acne in my life. Usually I use my Neem Purifying Face Wash from the brand Himalaya which helps to prevent pimple but it doesn't do its justice here. I was so depressed and I went to a local pharmacy to buy a pimple cream. 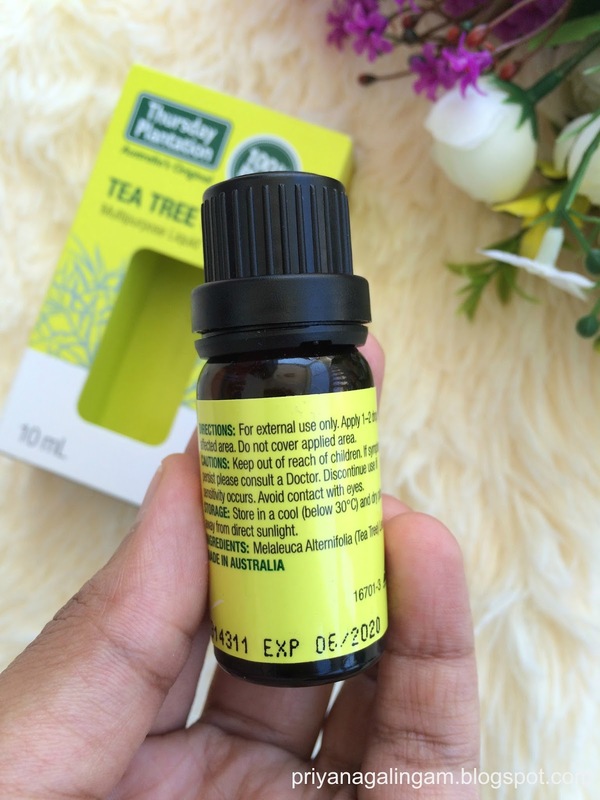 Then, I came across with this tea tree oil. With a little bit of knowledge knowing that tea tree oil is good for acne, I bought it to try out. Fast forward today, I am going to review my genuine opinion on this tea tree oil particularly this brand from Thursday Planation. Tea Tree Oil has a great antibacterial properties which helps to treat pimples. 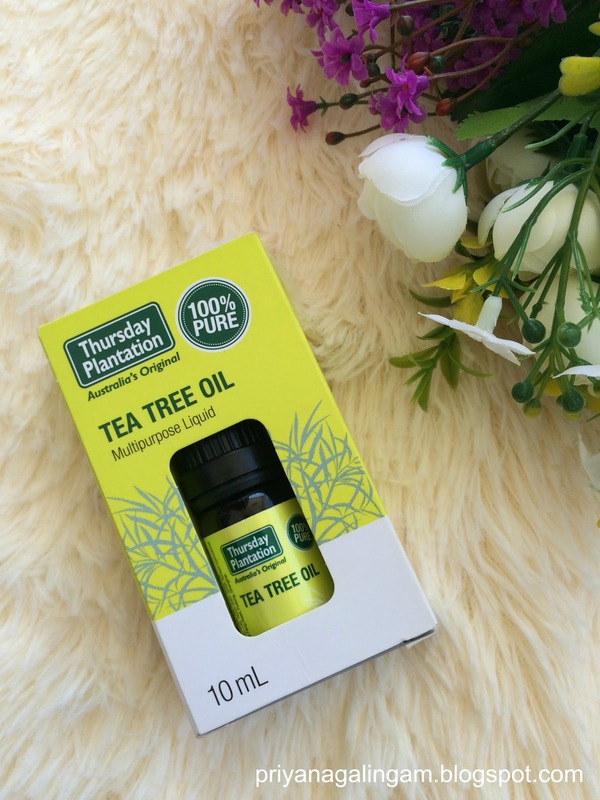 This Thursday Plantation Tea Tree Oil is a 100% pure Australian Tea Tree Oil. It is formulated with high quality natural tea tree oil and without parabens, sulfates, synthetic fragrances, synthetic dyes and phthalates which is awesome. It is very convenient where, I can use it for my pimples, insect bites, yeast infection and so on. Packaging is very nice and sturdy. Visible result in a week. No harmful substances like parabens, sulfates and etc. Claim to be 100% pure organic tea tree oil. Affordable compared to other brand tea tree oil and I think it will last for a very long time. The smell is too strong maybe you need to use it for few times to get use to its scent. Sometimes it sting my skin in a good way since it is 100% pure, if you really couldn't bare at all, try to dilute with water. I apply this product after I wash my face. I usually use one to two drops just to cover the affected surface area. If you find this tea tree oil is too strong for you, try to mix it will a moisturizer or dilute with a little bit of water to reduce its concentration. The big bumps that I was talking about just now vanished in just like 3- 4 days after I applied. However, the tiny bumps on my forehead disappeared like in a good one and a half week after I applied. Overall, I would say this tea tree oil does work but make sure you are using it consistently and don't forget to wash your face twice a day. Tea Tree oil for Bruises is best and if you want to speed up healing bruises, then tries to putting a some drops of tea tree oil on the injury, and lightly massaging it. 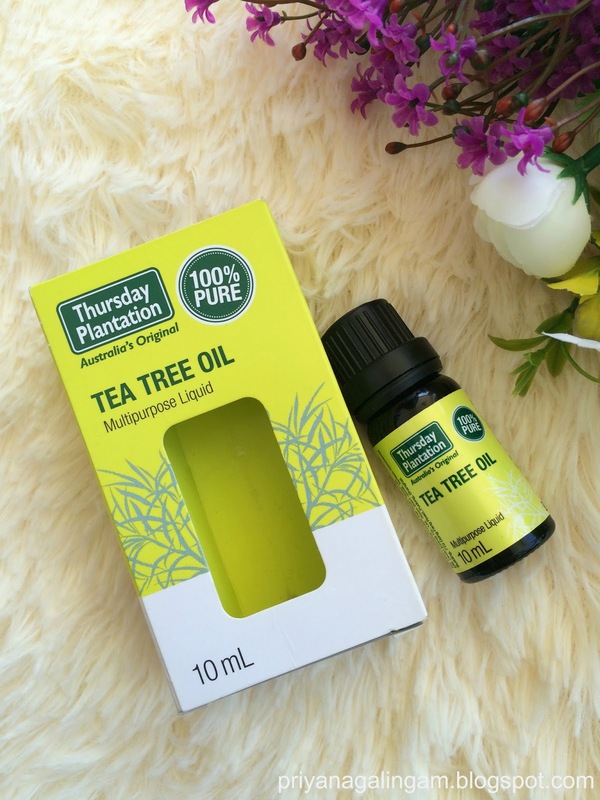 Our Organic Tea Tree Oil can help support a healthy immune system and reduce the appearance of skin blemishes. 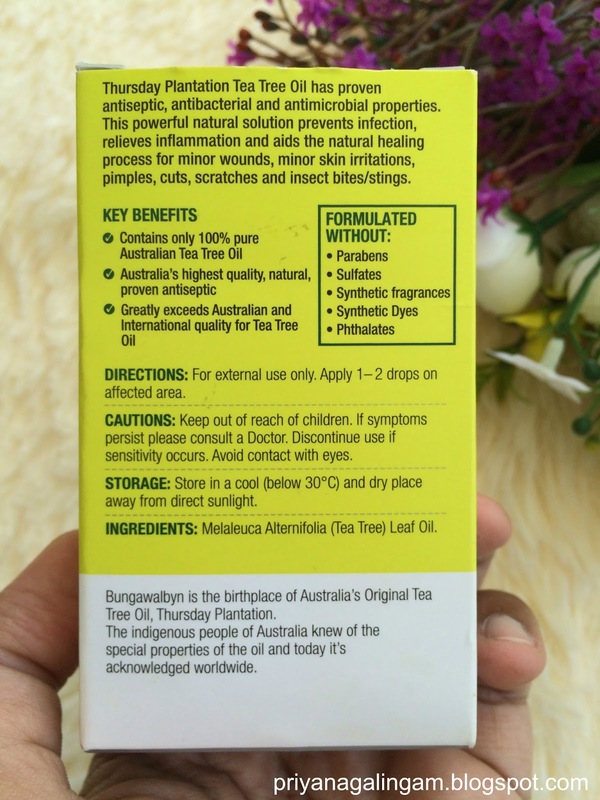 Teatree oil is very beneficial for cold and sinusitis, it soothes muscle pain, prevents skin infection. Buy Organic Tea Tree Oil to get clean and clear skin. Make your skin healthy using the best organic tea tree oil available at the Essential Natural Oil. This tea tree essential oil treats various skin problems.